sorry about last week, i hit a wall. i have been very naive, and i didn't see it coming. last friday i had a combination of factors that influenced me, and as i sat before my keyboard, i just couldn't write anything, and as i sat there trying, so it became harder to even start, and i eventually concluded that it wasn't going to happen, and i typed what i now realise was probably a cry for help. i truly didn't want to, as i really do not behave that way in normal life, but maybe on reflection i needed help, i needed a load of you guys to contact me to see if i was ok, maybe my situation craved help. i think the reason for my dark fog last week was made up of a number of factors, all playing their part in weighing me down, and now i have had a chance to look at what caused the engine not to start, i feel confident i can avoid a recurrence, and i am really glad i have shared it with you, as it shows that this kind of stuff can hit at any time. firstly, i have been aware that returning from a successful summit of the highest mountain in the world often brings a wall that climbers are renowned at hitting full face afterwards, and i had expected it in 2014 when i returned having been turned around by the death of 16 sherpa, but it never came, and i put this down to the creation of bigmoose, and the energy that this gave me. this time however, i had seen a couple of cracks from fellow summiteers, but i didn't feel it myself, as i was still very excited by the work that bigmoose was doing, helping others with mental health issues, helping them with running, being a part of a caring team, and all the benefits that our runners are experiencing, as well as getting very close to signing the lease for our coffee shop, and what that will do for others as well. all super exciting things, which i hoped would stop me from hitting that wall. but here's how last week panned out, and it appears, face planted me slap bang against the brickwork! i have been meaning to write a book for some time, and having been given a book on 'how to write a book'. i read it, and concluded to make my commitment, get myself an accountability partner, thanks pedro, and get writing. all well and good, but here's where the naivety came in. i have told this story to a couple of people since last week, and i think the analogy works. 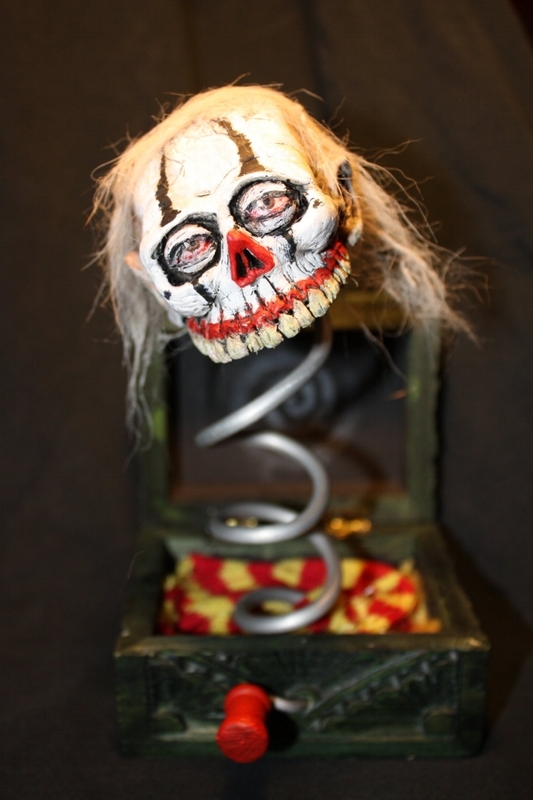 if i presented you with a black box, and told you that it was a jack in the box, and it was a pretty scary character that was inside the box, and that it springs out fast, you would be ready and prepared, and as you pressed the button, you would more than likely be totally ok, as you knew what was going to happen. however, if i just smiled and put the box before you, and told you to press the button with no warning, the result would probably be very different. my life has quite a few black boxes, which i have packed up, put in the darkest corner in the loft of my mind, and they have stayed there for decades. as i merrily set about writing about my life during the early years, where i had some traumatic stuff go on, i completely forgot what was in the boxes, and as i pressed the buttons the emotional connection to these things was revisited, and i didn't realise how they would affect me so powerfully. my naivety was such that i didn't expect the consequences of revisiting this time, and unbeknownst to me, it was to have a rather profound effect, which enveloped me in a way i hadn't expected. i have also been struggling to pay the remittance of my everest costs, which has been adding a huge pressure, as i feel guilt at having achieved something amazing, but not having paid my dues for that feeling of euphoria, which i think has led to me hitting the wall that i thought might happen, but i have done it by running into it with both eyes closed. add in the awful terrorist attacks in spain, the second of which i woke to read about last friday, and i think i just shut down. this is very outside my normal world, but i have to say i am kind of glad it has happened, as i hope i can learn from it, and i vow not to let it happen again if possible. whilst writing my book, i am now looking forward to see any potential jack in the boxes, and as they approach i will be ready. regarding everest, i have done some research on the matter, and i am in the 'what next' phase, that people that do this kind of thing have, and it is a question that been asked a lot, and i have answered with 'have a rest', 'spending time with my family', and now 'writing a book', but i have to say it does add a certain pressure, which i have to manage in my own way. i also need to pay russ as soon as possible, as i need this part of the journey to be over as soon as possible, as it is no doubt adding pressure to me and to him. so, last friday i slowly picked my game up, and that night i had an invite to a party that my climbing mate doogy was having to celebrate his wife's birthday, and as the rain poured down like a winter's night i really didn't want to go. however, i stepped out into the rain and made the journey across town, and entered the happy atmosphere, drank a couple of martini espressos and had some lovely conversations with new faces, stayed long past the witching hour, and i think got myself back on track. this week i feel a lot more like me, and the writing has been going really well, so hopefully the demons have been exorcised, but it has shown me that we can all get hit by mental health problems at any time, and i must never underestimate the negative power that can be produced. i wasn't sure if sharing this in such detail was the best course of action, but hopefully it was and it explains things properly. cheers for getting in touch last week, your text, call, e-mail genuinely really helped, and maybe the takeaway from all of this is that we all sometimes need to reach out if we think someone needs our help, and maybe on reflection it happened to me for a reason, and if that makes you think about how you see things in a different way, that is a great thing right? i'm a big fan of learning from adversity, and allowing it's power to be used in a way that produces a positive outcome long term. have a great week ahead, help anybody you can, and if you need help, ask for it, there's a lot of kind people out there.